The Director of Research for the opposition National Democratic Congress has described as hypocritical president Nana Akufo-Addo’s excitement over projects expected to be funded with the two billion dollar Sinohydro deal. Per the compact, Ghana will benefit from two billion dollars worth of priority projects in return for a commensurate value of refined bauxite from Ghana’s rich mineral deposits. Each of the 16 regions will benefit from roads, buildings for judicial service, industrial parks, and landfill sites among other key infrastructure within the next 30 calendar months. 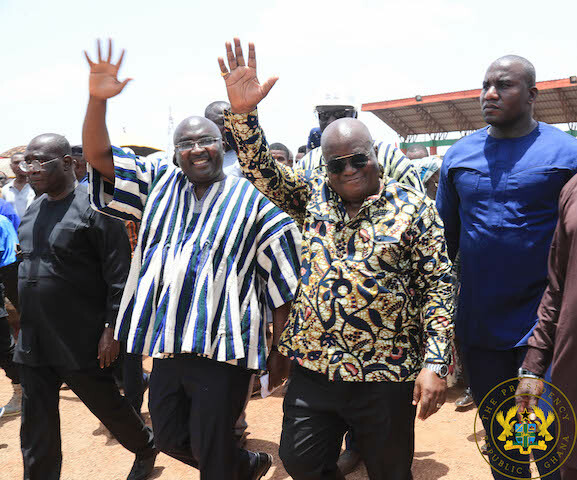 But the Development Analyst Dr William Ahadzie contends the president’s comments smack of two-facedness juxtaposing his present excitement with what assigns of his party sought to denigrate under the John Mahama administration. Speaking to host Julius Caesar Anadem on the Ultimate breakfast Show, Dr Ahadzie recounted moments when the former president Mahama had to deal with critics from the then opposition NPP who claimed that infrastructure did not put food on the tables of Ghanaians. “It only exposes them and their hypocrisy because they campaigned on the message that we don’t eat infrastructure and our argument has always been that infrastructure actually stimulates development and therefore we need that. “They must make an admission that we were on the right path in trying to build infrastructure for Ghana to increase their earning capabilities and so why are they going to build that?” he quizzed. Dr Ahadzie also discounted Government’s assertion that the Sinohydro barter was superior to the NDC’s spate of borrowing for infrastructure projects insisting that all the roads built in the country are tollable and capable of repaying the investment. Dr Ahadzie sounded a caution to government to refrain from allocating the projects on political considerations without considering the economic impacts the project will have on the people.